Let these funny Man Quotes from my large collection of funny quotes about life add a little humor to your day. that's what reform schools are for. 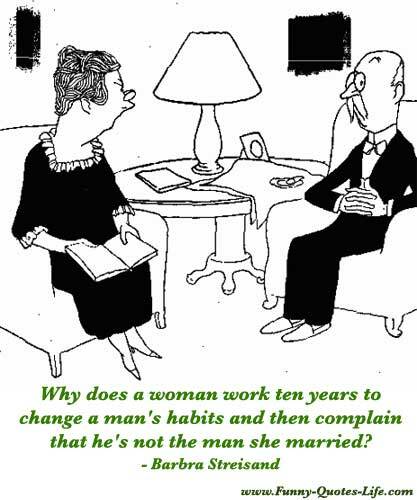 A man is incomplete until he is married. After that, he is finished. My uncle Sammy was an angry man. He had printed on his tombstone: What are you looking at? his weight in wild caterpillars? Afraid? You bet I'm afraid! Every man thinks God is on his side. looks around for a coffin. and his second wife to his success. Thank you for visiting: Funny Man Quotes - Funny Quotes about Man.